Coming to the Preshow Pit Party on Saturday? Upgrade to Lexus Lounge for the 1PM Saturday and access our pre-show buffet for only $20! 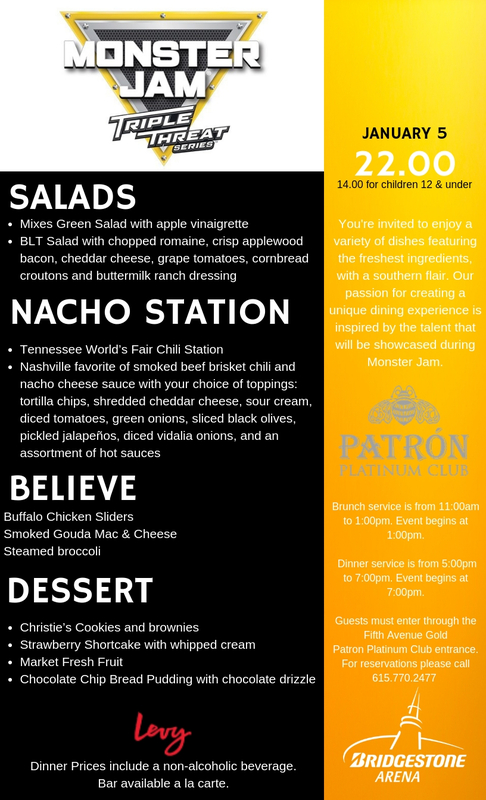 Walk straight off the dirt from the Pit Party into our exclusive Lexus Lounge and enjoy an unlimited buffet of garden salad, chef's choice soup, nachos, hot dog bar and more.